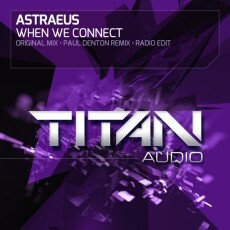 For our 9th release Titan Audio are proud to present the debut track from Astraeus. When We Connect is a massive debut from the new UK outfit, which oozes classic Gatecrasher cyber trance influences. Banging drums, massive leads and wicked acids are in abundance in what is best described as a no nonsense beast! Ireland’s fast rising star Paul Denton provides the remix, remaining recognisable whilst most certainly applying his own stamp by reinterpreting lead patterns and creating some lush additional elements.